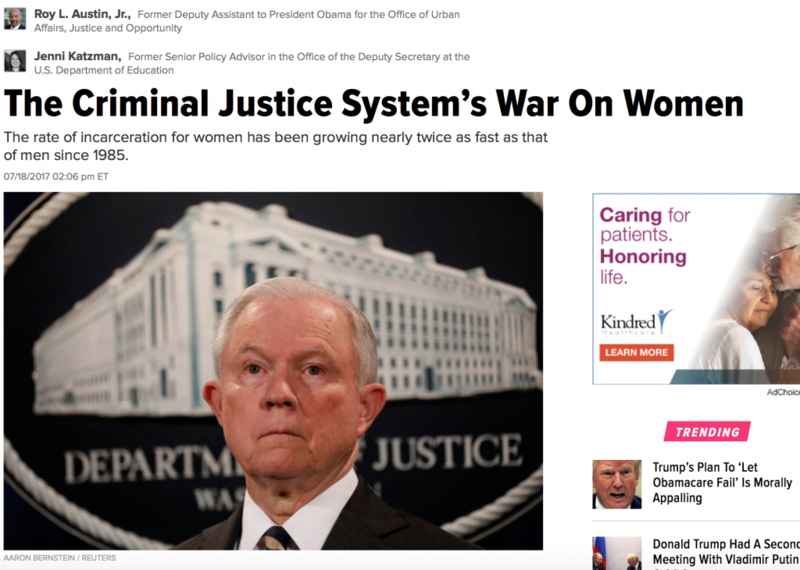 What often goes unreported and frighteningly unnoticed is the war the administration is waging on women through the criminal justice system. Women are the fastest growing population in prison. More than one million women are currently behind bars or under the control of the criminal justice system, and the rate of incarceration for women has been growing nearly twice as fast as that of men since 1985. Read the entire article here. As Amy Povah, another Clinton era clemency recipient has noted, federal female prisoners are far more likely than men to be serving long sentences because of the drugs an intimate partner sold. They are also more likely to receive long sentences because, unlike the men who had more direct access to the criminal enterprise, the women have little to no meaningful information to offer for a plea bargain. 48 queries in 1.214 seconds.